At Madrid Chiropractic, we take great pride in providing the finest chiropractic care to each and every patient. We have included information below about the different chiropractic services offered in our Santa Fe chiropractic office, but please call us at 505-988-4829 if you have any questions! We provide advanced spinal correction and chiropractic adjustments utilizing "state of the art" chiropractic techniques. As a chiropractor who cares about utilizing the most advanced chiropractic techniques, Dr. John Madrid has years of training, expertise and experience in helping patients get pain relief for back pain, neck pain, headaches, and other related conditions originating from the spine. Chiropractic care under a trained professional can even be used to prevent injuries and help you achieve total health or wellness. We utilize Activator, Diversified, and Thompson Techniques to gently and effectively adjust your spine. At Madrid Chiropractic, we teach our patients how to perform special "blueprint" exercises which can help strengthen and correct the irregularities in their body which may be causing pain. Many of these corrective exercises can actually be performed in the comfort of your own home to help improve the effectiveness of your chiropractic care and spinal correction plan. 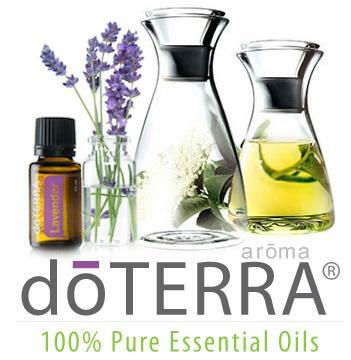 At Madrid Chiropractic, we sell therapeutic grade essential oil from doTerra. Essential oils can be used for a wide range of emotional and physical wellness applications. They can be used as single essential oils or in complex essential oil blends depending on user experience and desired benefit. You can order essential oils by visiting our office or if you prefer you can order directly online by clicking on the following link:doTerra. Want the ability to purchase doTerra essential oils for 25% less than retail? Ask Dr. John D. Madrid about becoming a doTerra Wellness Advocate today by calling him at 505-988-4829. Madrid Chiropractic has teamed up with BrainSpan Labratories to offer a comprehensive NeuroHealth Assessment. How Healthy Is Your Brain? When it comes to your health, you measure everything that is important to you. But do you neglect the command center of your body… your brain? The assessment measures four specific biomarkers in your blood: Omega-3 index, Inflammation index, Trans-Fat index, and Saturated Fat index; and measures four cognitive functions: Focus & Attention, Memory, Executive Function, and Cognitive Flexibility to determine your optimal brain health. The test kit requires one drop of blood and the use of tablet or smart phone. The test results then provide a suggested dosage for daily supplements to bring your brain back into optimal health. Call today to schedule your test with Madrid Chiropractic at 505-988-4829. What does nutrition have to do with chiropractic care? The goal of chiropractic care is to help patients achieve total health and balance with their body, and as part of that goal we provide specific recommendations on nutritional supplements and healthy food choices. Nutritional counseling by our experienced chiropractic health professionals can assist a patient on their return to optimal health. Do you know which supplements and vitamins are good for you? Do you know how these supplements and vitamins interact with one another? At our Santa Fe chiropractic clinic, we can provide each patient with a structured nutritional program that is based on their individual needs.